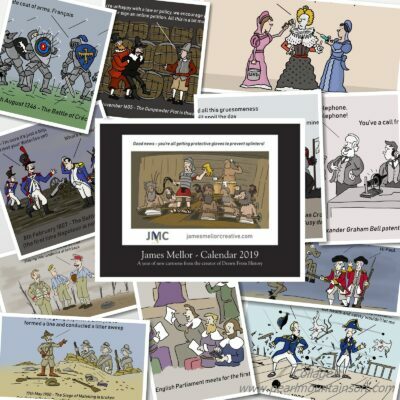 I am pleased to announce that JMC cartoons are now available in a new, more personalised format. 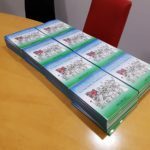 Bespoke booklets allow you to create a cartoon collection unique to your business or organisation. These booklets are ideal for conveying your message (and hopefully a smile) as corporate gifts or at events and conventions and can be created in two easy steps. 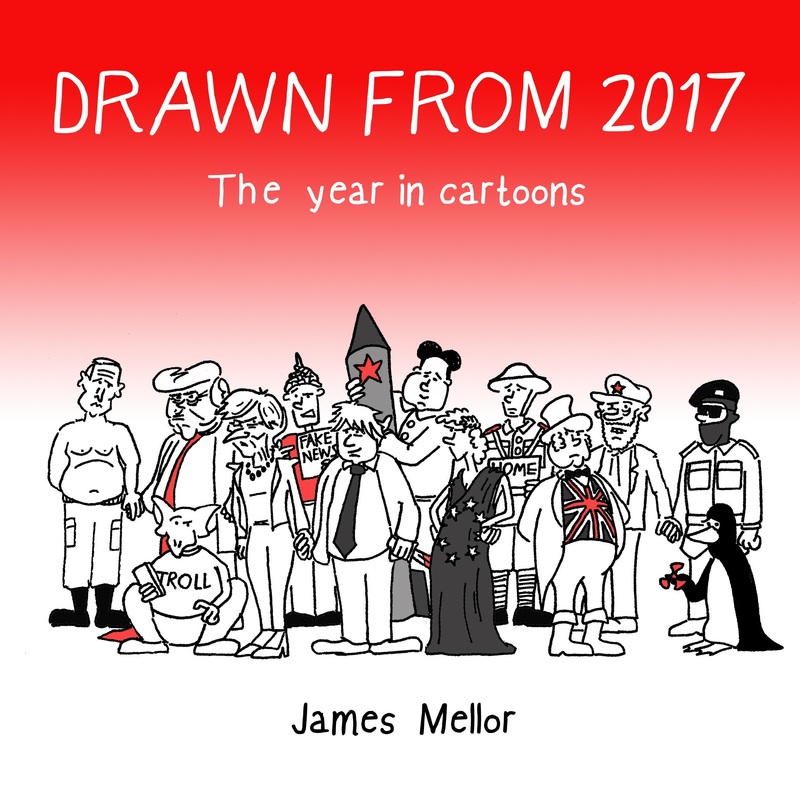 Select your favourite or most relevant cartoons from JMC, commission your own illustrations, or create a combination of the two to form the core of the booklet. Provide your own branding, foreword, message, contact or charity details you would like to be included. This idea has not sprung out of thin air, but has grown organically from requests received in the past year. Perhaps looking at how others have used illustrations to promote their brand, deliver a message, entertain their clients and raise money for good causes might provide inspiration as to how this service could help you. The Guild of Entrepreneurs commissioned a bespoke booklet to sell at Christmas in 2017 to raise money for the charitable works of the Guild of Entrepreneurs Trust. 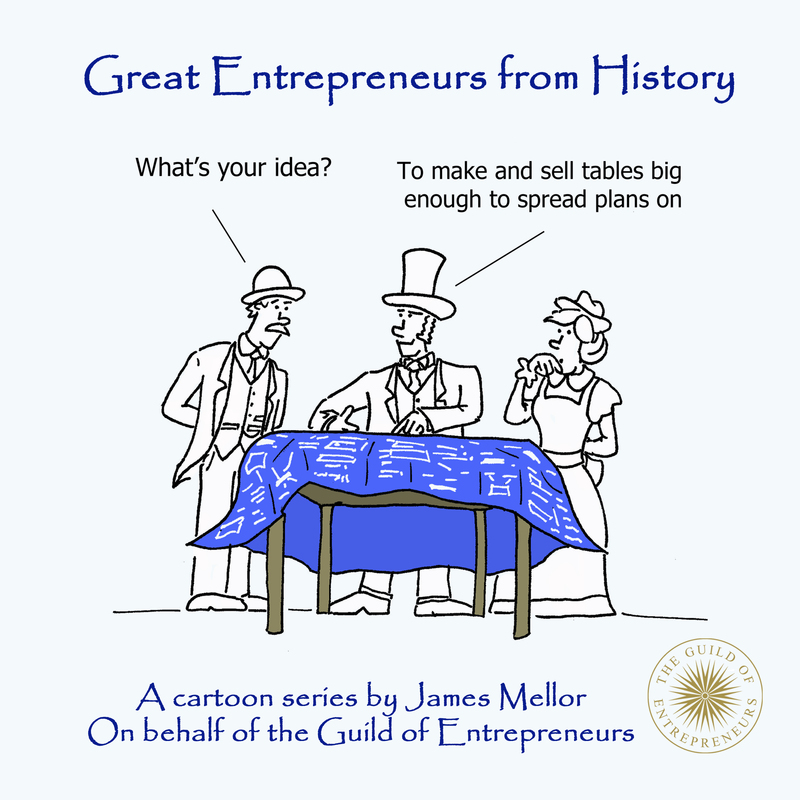 The Guild provided information about themselves and the Trust and selected some of the more entrepreneurial cartoons from Drawn From History. 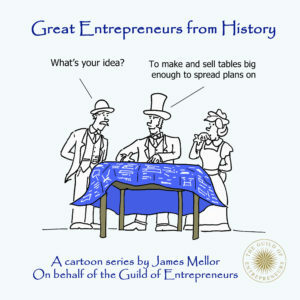 To complete the booklet and make it unique, I also created a brand new set of cartoons taking a look at great entrepreneurs from history. To celebrate their 10th anniversary, People Risk Solutions commissioned a bespoke booklet based around a chapter from Drawn From History. Once PRS had selected their favourite and most relevant section from the existing book, I supplemented it with new cartoons set in the same era and specifically focused on their specialities of HR support, management effectiveness, culture and values. Also included was an information page about PRS and, as we were creating a history book to celebrate an anniversary, a timeline of their business achievements to date. The finished booklets were distributed as memorable gifts to guests at the anniversary evening event. The process can work in the other direction too. 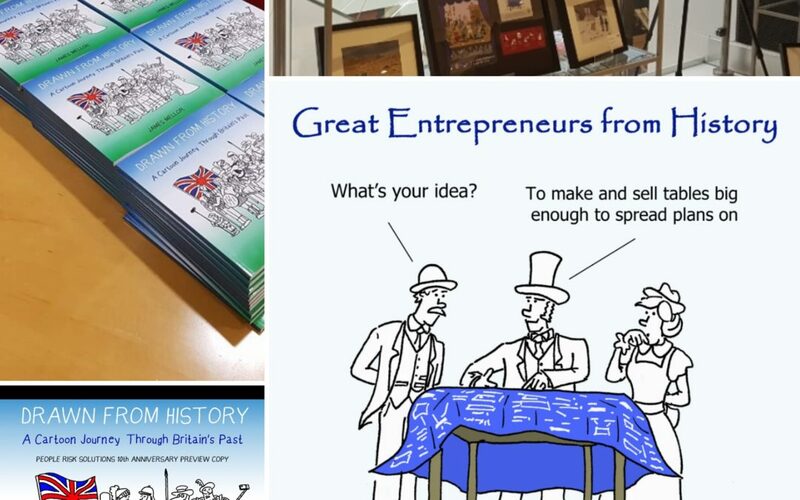 Rather than extracting cartoons from an existing book, Drawn From History can be customised to create a special edition for your business or organisation. 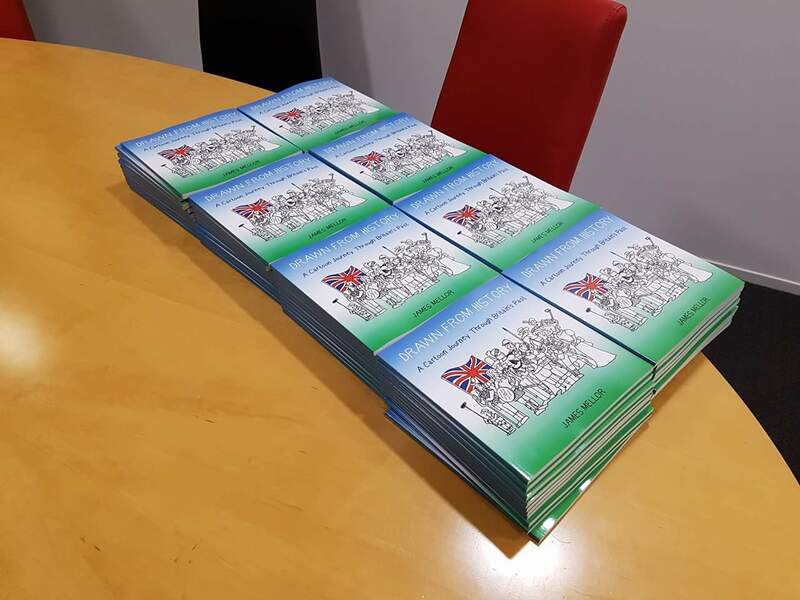 The gentle humour of Drawn From History made the book an ideal ‘welcome to the United Kingdom’ gift for international delegates attending the Globalaw conference in London last year. The Briars Group contacted me with this idea and together we created a special edition for the conference with their branding and a new foreword written by their CEO. Modifications could be more extensive – you could add a whole new chapter if you like. I am currently working on regional special editions with a geographical link between the cartoons, but am always open to new ideas. If you think of an alteration or customisation that would work for your business then just let me know. Costs for these items will vary depending on the scale of the project and the quantity required (30 copies is the minimum number needed to arrange a special edition print run) but if this post has given you any inspiration or you have your own ideas for a booklet or special edition book please contact me and we can begin creating.